Indians road users are not very particular about following traffic signals. 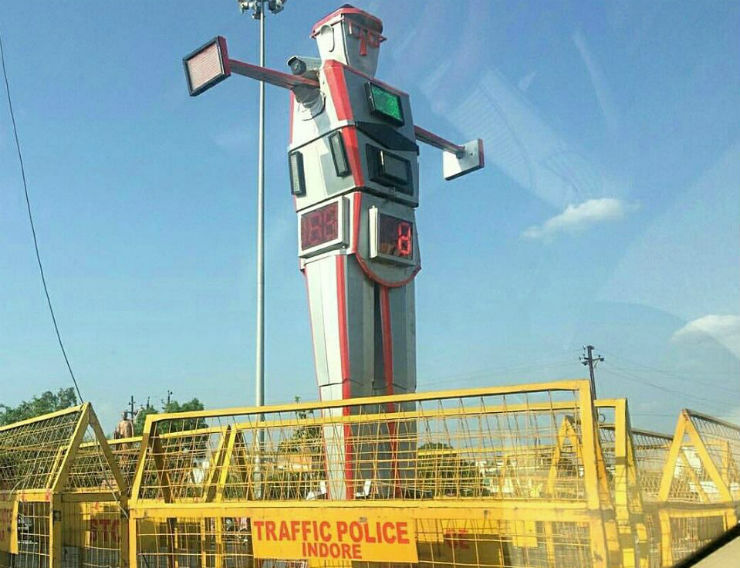 In a bid to improve the situation, the city of Indore has just installed a 14-foot traffic robot at a junction on the Ring Road. With that, RoboCop is finally in India. Here’s all you need to know. The project was undertaken by the Indore police in and the Venkteshwar Institute of Technology. The cost of the robot is Rs. 20 lakh and everything is built from scratch. The time it took to develop this is not mentioned by neither the cops nor the Institute. The robot can do multiple tasks. The robot works like a regular traffic signal but has some fancy ways to do it. It can rotate on its own axis to face the different roads on the junction. It can also move its arms up and down to signal the commuters to stop or go. The robot gets bright lights in red, yellow and green to indicate the flow of traffic. That’s not all. Indore Police monitors the traffic at the junction through the WiFi enabled cameras that are installed in the robot. The cops can also challan people who do not follow the traffic rules by clicking pictures of the violation. The robot also has an inbuilt loudspeaker that can be used to address people. 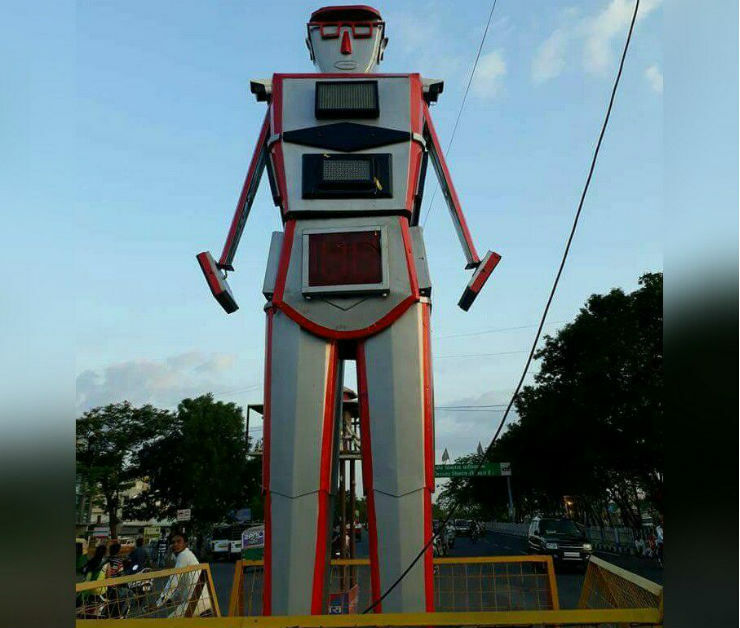 According to the cops, the robot was installed as an experiment and it has become a huge success as many people have started to follow the traffic signals. The Indore police are now planning to come up more such robots at different junctions of the city in the future. The police department says that the robot does the job of at least two constables, which is quite commendable. Indore Police is currently short-staffed. The idea came up when additional director general of police, Vipin Maheshwari was posted in the Indore zone. He visited the robotic department of the Institute and casually discussed the idea. After approaching several companies, the Institute decided to build it from the scratch. The Institute also said that next models would cost Rs. 12 lakh because all they have figured out a way to reduce cost. Way to go!